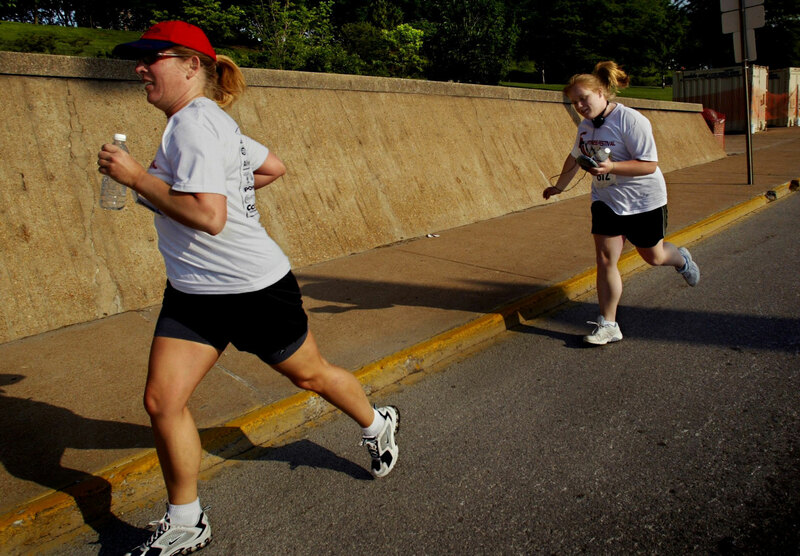 GETTING ACTIVE- Miranda's mom Leah Giunta dragged her daughter to enter a 3K race at the St. Louis Fitness Festival. "There is no way a kid can do it without the parents," says Giunta. "I should be home sleeping in bed," says Miranda, referring to the 7 a.m. start time.